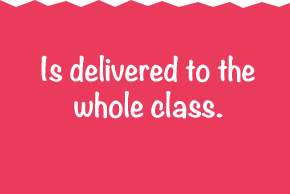 Developed by trained counsellors, and music, primary and early childhood teachers. Especially for children in school Years 1 to 4. 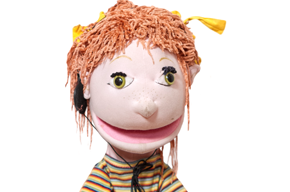 Captivates children with large puppets, sock puppets, music, bubbles, posters, their own workbook and much more. 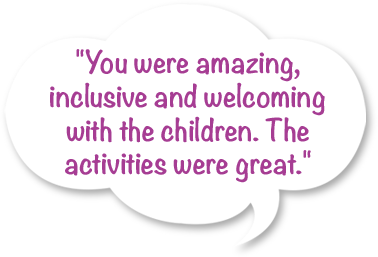 Encourages the children to take part as they explore and develop their social and emotional skills. Welcomes parent and whanau involvement. Watch our latest video right here on the Social Socks website. 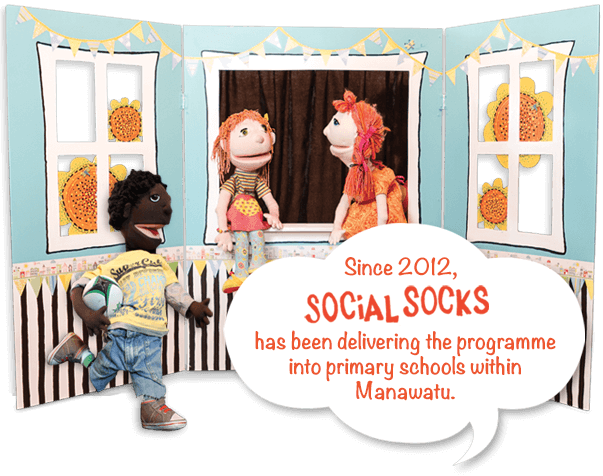 See Mike Clark, the Social Socks Board Chair speak to Jo, one of the stars of the Social Socks show about the great programme coming to a school near you. 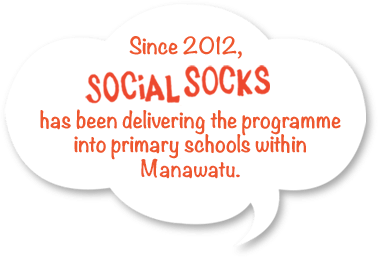 Hear Social Sock's Giles Bates being interviewed along with John Parsons about Internet Safety on Access Manawatu. 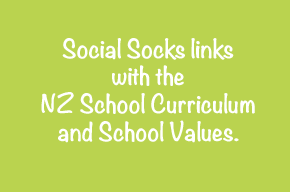 Catch up on all the Social Socks goings-on in the latest issue of our newsletter. A group of volunteers in Palmerston North came together to make weighted teddy bears. The teddy bears help children with their emotions including anxiety, sadness and anger. 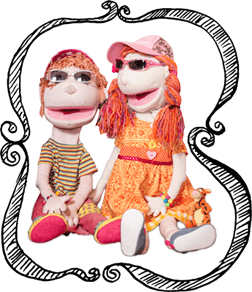 Sock puppets are a great way for children to work through loss and sadness. 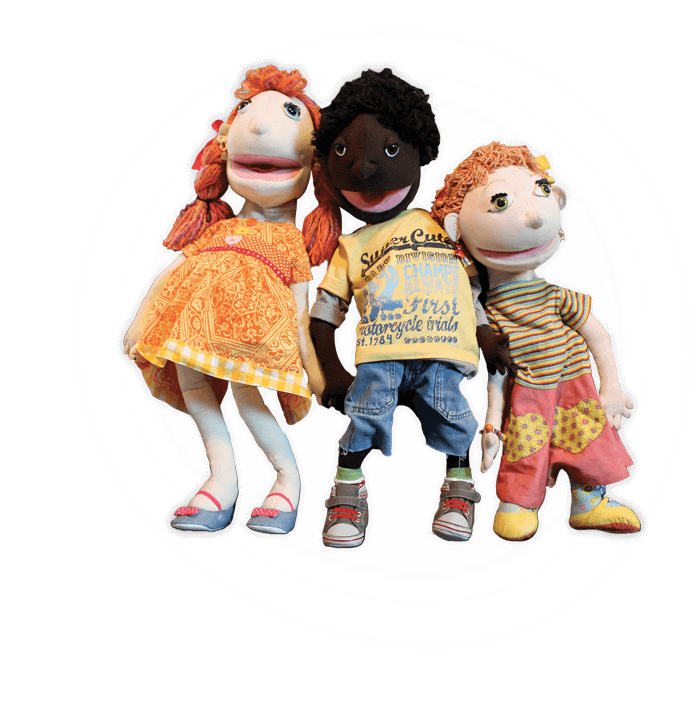 Look at Zany Zaks puppet play as an idea of what you can do in your puppet play. Adults and children can express loss in different ways. Some children become sad and withdrawn, others want to talk about it while others want to go outside and run it off. Children can feel worried, numb, upset, scared, angry, guilty, confused, lonely and sad. Social Socks talks about where we feel sad in our bodies, which may include tummy aches, wanting to cry, or feeling numb. Loss can be anything from moving schools, marriage separation, someone close dying, or to losing a family pet. Children need time to work through the loss. It can take months or even years for a child to adapt and sometimes something happens which will re-trigger their emotions. They need to know that someone cares for them. They need your time, even if it is simply having a hug, going for a walk or reading them a story. Be aware of your own grief. Remember to take care of yourself and seek help if you need it. If you are struggling this will almost certainly impact on your child. If someone close is to them is dying or has died, it is really important not to hide it from them. Skylight (www.skylight.org.nz) is a wonderful organisation who helps support families with loss. If the person dying has cancer then help is available through the Cancer Society (www.cancernz.org.nz). It is important to have good healthy routines, which include eating regularly, exercise, laughter, sleep and lots of hugs. 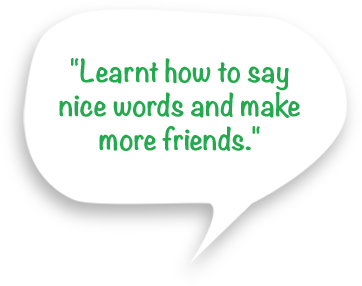 It is OK to be angry, but it is not OK to say hurtful words or physically hurt yourself or other people. At Social Socks we talk about how when things don't go the way that we want, anger can build up inside of us like a balloon and eventually we can explode. It is important when children feel angry that we stop what we are doing and show them that we care. Ask ourselves what is really going on? Think about what may have happened that caused your child to be angry. Anger is like the top of the iceberg. It is what we see. Underneath the iceberg is what is causing the anger. It might be the feeling of hopelessness, loss, grief, disappointment, helplessness or guilt. It is important not to belittle your child. It is important to listen carefully. Try not to raise your voice or respond negatively to your child, as this is not helpful and will only escalate the problem. Let your child know that you are here to help them and to do this you need to be able to understand why they feel angry. Help your child think about some helpful choices that they can make for next time. Even if it is in a small way. Make a plan and discuss with them how it will work. Are there other things that they need to think about? What would be the most helpful choice for them? Support them as they carry out their plan. Things don't always go as we plan, so don't give up. It takes time and your child needs you. Support and encourage your child as they work through the change. It is great to have conversations with your child about helpful ways to manage anger. Ask your child what they have found to be helpful. It might be they like to curl up on their bed and be alone for a time, listen to some music, cry, or do something they enjoy. If anger is hidden then it will get worse, which can lead to behavioural problems, sadness or shutting down. It is important to set clear boundaries that your child clearly understands and follow through with them. 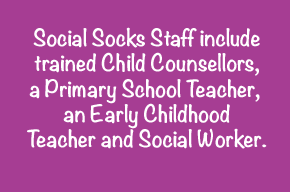 Check out Lucy's Learning and what Social Socks teaches children about anger. 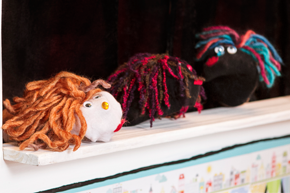 Sock puppets are a great way for children to work through their anxiety. 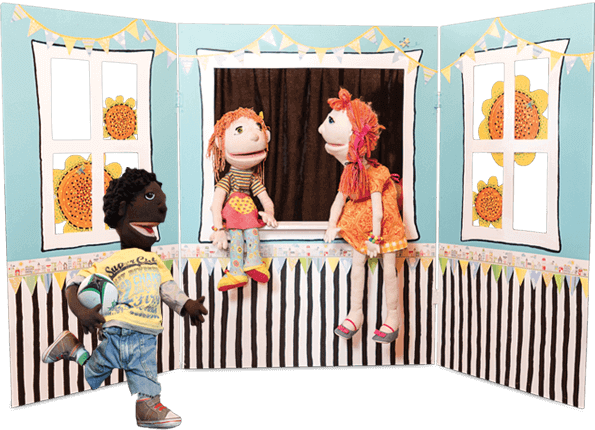 Look at Zany Zak's puppet play as an idea of what you can do in your puppet play. 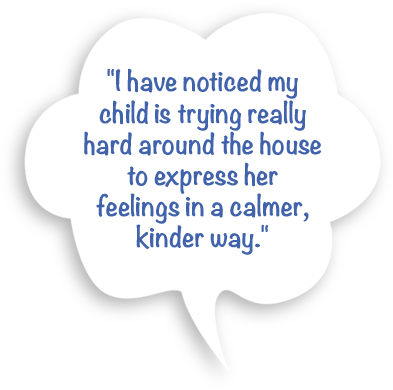 Adults and children can express their anxiety in different ways. Some children become aggressive and hit out, some children run from the situation or freeze. Children may refuse to go to school and become clingy. Social Socks talks about how being afraid can affect our bodies which can cause a sore tummy, headaches, tearfulness, feeling tired and sweaty. There are lots of things that cause anxiety, such as moving schools, marriage separation, finding someone to play with, to asking a question. Children need time to work through their anxiety. Practise patience, listen and focus on the child's feelings. They need your time and support. Having a hug, going for a walk or reading them a story shows that you care. Be aware of your own anxiety as a parent. Remember to take care of yourself and seek help if you need it. If you struggle with anxiety this will almost certainly impact on your child. It is important to have good healthy routines, which include eating regularly, exercise, laughter, a bed time routine, lots of hugs, and special one on one time looking back on the positive things that happened in the day. 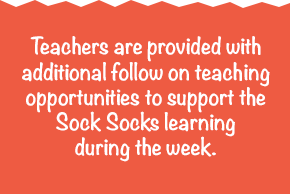 Check out our Social Socks resources for other helpful tips. Have a regular ‘no technic time’ (turn off the T.V. computer and phone) each day. Share a meal together as a family. Encourage each family member to talk about something interesting that has happened that day. Kids love to be creative. 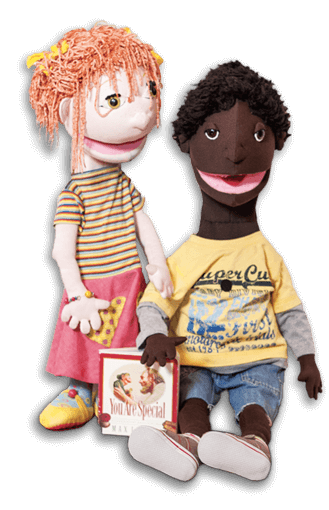 Encourage them to make their own sock puppet with a pre-loved sock or paper bag and use them to have conversations together and with you. Children love it when adults have fun and join in their play. Kids love adventures. Be an explorer with your child. When it comes to tidying up, join in and turn it into a game. Have a race to see who can do it quickest. Regularly read with your child. Make sure they have your attention. Ask your child to stop what they are doing. Give one or two clear simple instructions, not a list. Model the task so that they know what to do. Allow them to repeat back what they are to do. When they have finished thank them for doing what was asked. Remember they are learning and won’t do it as well as you would. It is normal to feel sad at times. It is a good idea to talk someone who you trust. I can take time out and be by myself for a while. I can spend time with someone who I feel comfortable with. I can tell myself I am not alone, there are people who care for me. I will feel better but it may take time. I can take little steps on my way to happiness. I can push the pause button and think. I can take a deep breath and let it out slowly and do this a few more times. I can use my voice and ask for help. I won't stay stuck in feeling anxious if I do the things that I know will help ME! Everyone gets angry at times, it is how you deal with it that matters. I can push the pause button. I can take a deep breath and let it out slowly like a balloon. When I have calmed down I can use my voice to say why I was angry. I can dust off unhelpful words that don't belong to me. I won't stay stuck in feeling angry; if I do then no one will want to play with me. Lucy: Hi Zak, it's great to see you. Lucy: You sound grumpy. That's not nice. Lucy: What's up, you are not normally like this? Zak: I just had a stink morning. Lucy: Wanna talk about it? Zak: Yeah maybe. I just wanna be by myself. Lucy: That's ok, will see you later. Lucy: Hi Zak, how you feeling now? Zak: Thanks Lucy for giving me space. I needed some time to think. Zak: Yip, I just had a crazy morning when things didn't go well. Lucy: Would you like to talk about it? Zak: There was stuff that I wanted to do before school and Granddad asked me to do stuff and he wanted it done now, then the phone rang and it was Mum, I couldn't find my book bag and hadn't made my lunch so it was all too much. Lucy: Wow that's a lot of stuff. What did you do? Zak: I ended up yelling at Granddad and he yelled back and I now feel bad cause he has been really good to me. Lucy: Sometimes when things get too much we blow and I am sure that you didn't mean to Zak. Zak: No I didn't, it just came out. Lucy: That's happened to me before. You feel stink eh? It is good that you have taken some time to think about what happened Zak. Zak: I am not looking forward to going home. Lucy: So what do you think would be a good thing to do when you get home? Zak: I guess I need to say sorry and tell Granddad why I got upset. Jo: I am so hungry. Yum, I have got a ham sandwich for lunch today. Lucy: You are lucky, I have just got the same old cheese sandwich again. What have you got Zak? Zak: Oh, I don't know, I'm not feeling hungry. Lucy: Wow, look ... you have got cake, can I have it then if you are not hungry? Jo: Zak, are you OK? You are normally the first one to eat lunch. Zak: I'm feeling a bit funny in my tummy. Lucy: Oh, you probably have a tummy bug. I had one last week, was sick everywhere and had to stay home from school. You better not eat your lunch. But is it ok, can I have your cake? Jo: Do you think you might be sick Zac? Zak: No, just don't feel hungry. Lucy: Definitely that tummy bug. Hand over the cake. Jo: Hold on Lucy, there are other reasons for feeling sick. Jo: When I am worried about things or scared or anxious it can make my tummy feel funny. Also sometimes my heart starts thumping loudly and I feel sweaty. Zak, you don't think it could be that do you? Zak: I think it might be that Jo. I don't want to do my speech this afternoon, people are just going to laugh at me and tell me I'm dumb or stupid. Jo: I know how you feel Zak. When I did my speech the other day I was shaking all over. But I don't think the others will think you are stupid Zak. What are talking about? Zak: My speech is on life back home in Rarotonga. Lucy: Oh that will be great Zak. Have you got any pictures? I've always wanted to see what your home was like. Zak: Yes, I have some photos of my home and family. Lucy: Do you live near the beach? Zak: Yes, it is just over the road. You can see the sea from our front porch. Jo: Zak, I think everyone will be really interested in your speech. It is easy to think yucky thoughts when you are nervous. I thought the same before I did my talk. Zak: But yours was neat. Jo: Oh thanks Zak, do you think so? I tell you what. My dad helped me. He got me to practice saying it out loud to him. He also got me to think a happy thought when I did it. Why don't you say it out loud now to Lucy and me, we have heaps of times. Zak: Oh gee Jo, if I could that would be great. Jo: Before you start, can you think of a happy thought Zak? Lucy: Why don't you just think of the beach back home and the sea? Zak: Yeah, that's a great idea as it makes me think of lots of happy times. Wow, thanks Jo and Lucy, I am already starting to feel better. Lucy: That's great Zak. Better not risk eating that cake though! Jo: I am so excited, I swung over all the monkey bars. All by myself! Lucy: Wow Jo, that is great. I can't even to get half way. That's so exciting. Jo: Zak, you are quiet, are you ok? Zak: Just leave me alone. Lucy: Zak, did you not hear? Jo has just swung over all of the monkey bars. Lucy: Well that's not a very nice thing to say. Jo: Zak, that's not like you. You are normally excited when us girls do well. What's the matter? Lucy: I'm sorry Zak, did we upset you? Zak: No, it's not you guys. Jo: Well what is it Zak? Zak: I miss my family and friends back home. Lucy: Oh that is sad. Have you talked to them lately? Zak: No, Grandad is too busy and won't let me talk to them. Jo: When do you next go home to Rarotonga? Zak: Zak. Not till the end of the year. I miss them terribly I just want to go home. Jo: How about you Skype them? Zak: Granddad doesn't have a computer. Jo: Well let's send your family a postcard. I have one at home and can bring it tomorrow or you can ask your Granddad if you can come around to my house and Aunty can help us write it for you. Zak: Gee, thanks Jo and Lucy. You are really kind. Counselling for adults and children, Out of School Care, Budgeting, Grandparent Support and Food bank. 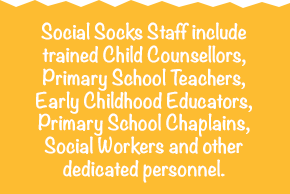 Adult Education, Early Childhood Centre, Kidz Life Holiday Programme, HIPPY, SKIP, Teen and Teen-Mum programmes, Counselling, Social Work and Community Development. 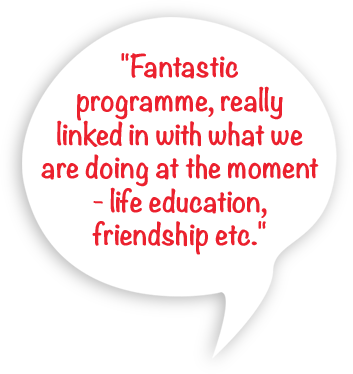 Social Work, Counselling, Incredible Years and Triple P Positive Parenting, suicide bereavement support, and postnatal depression programme. Social Work, Counselling, Triple P Positive Parenting, Managing Anger, Grief Loss and Change, Managing Everyday Challenges, Managing Anxiety and emergency food assistance. Food bank, Community Meals, Counselling, Family Assistance, Positive Lifestyle Programme for adults and young people as well as Disability Support Groups. 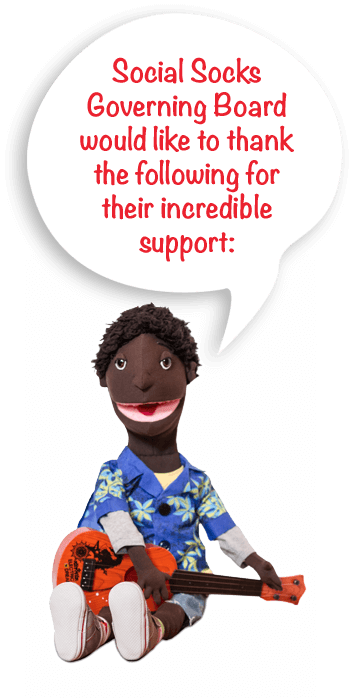 Individual programmes for adults, youth and parenting programmes, as well as Family and Whanau Support. Wāhine Ātaahua, Counselling, Whakapapa & Māori Land Advisor, Whānau Ora Navigation Services, and Te Reo Māori. Feilding Host-Lions for your generous donation for a class at St Josephs School in Feilding. Manchester Lions for sponsoring a class at Lytton Street School in Feilding. Kowhai Lions for your financial contribution to Lytton Street School.